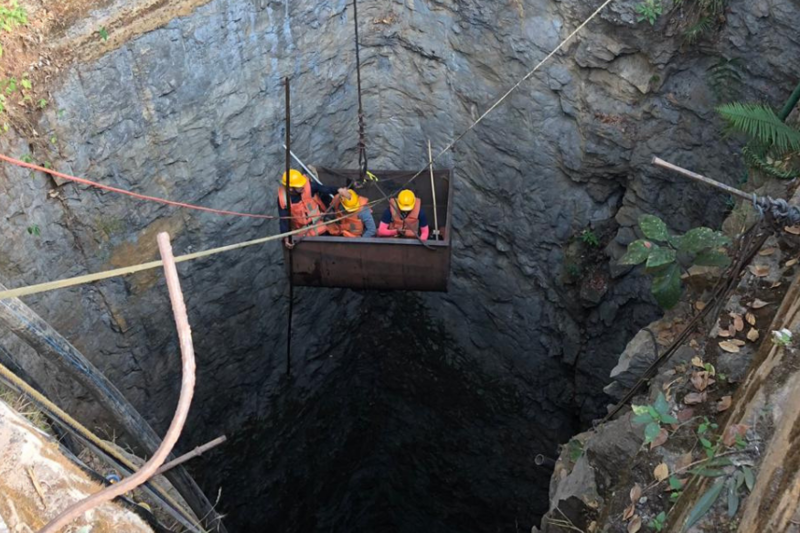 The Indian Navy on Sunday suspended the pulling of the body from the coal mine in East Jaiñtia Hills district as too much disintegration took place with every pull by the Remotely Operated Vehicle (ROV) jaw. Spokesperson for the operation, R. Susngi said that the Indian Navy tried to pull out the remains since Saturday evening. “The Indian Navy suspended the pulling of the remains as too much disintegration took place with every pull by the ROV jaw. They are now waiting for further instruction from the government,” he said. The Coal India Limited continued de-watering in the two old shafts and run their pumps for 23 hours each since Saturday evening till 5 pm on Sunday at a total of 46 hours and the total discharged of water was approximately 52,16,400 litres. The KSB operated their pump from 5 pm of Saturday evening till 5 pm on Sunday with a break of one hour for refueling. The pumping is altogether 23 hours and the total discharged of water was approximately 45, 54,000 litres. The Odhisa fire service started their pump at 12 noon which continued till 5 pm, and the total discharged was approximately 4, 50,000 liters. The NDRF also provided their assistance with all their resources available to other agencies.